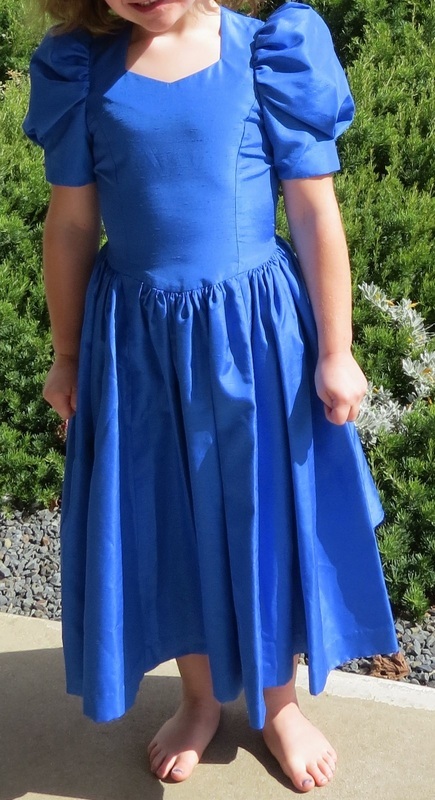 Girls' wear 3: original 1950s and 1950s-style dresses. Prices quoted are for purchase; rental 420 unless otherwise stated. 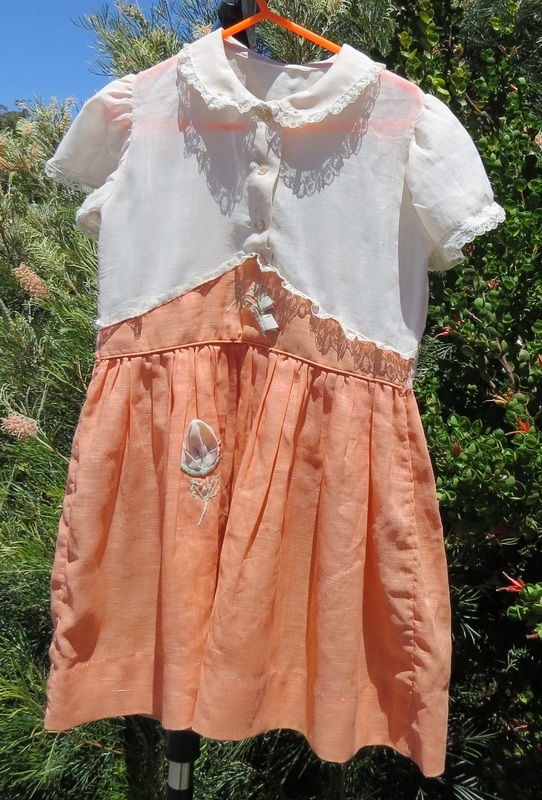 Ch508 original 1950s dress in peach and apricot, with applique flowers. $45. Ch505 Age 5-6. Back has large bow, giving a bustle effect. 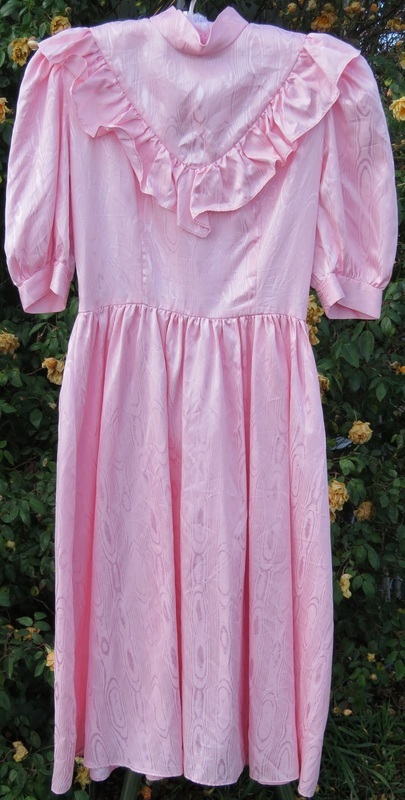 1950s-style dress, made later (probably 1980s). Rental $15, purchase $30. Ch506 Young teen. Moire. Long matching sash.1950s-style dress, made later (probably 1980s). $50.